Below are examples of technical data sheets. 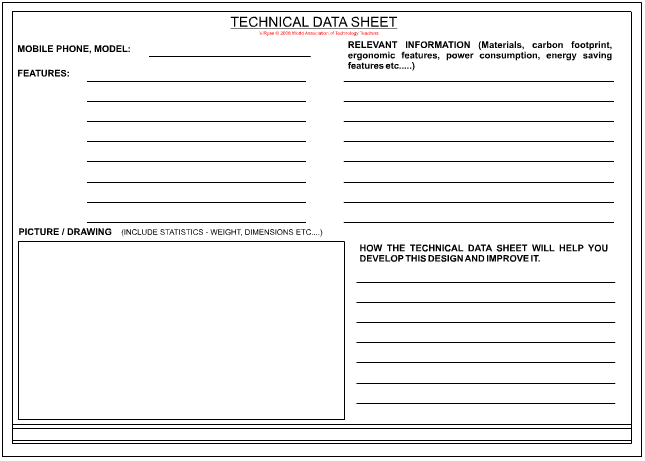 These are sheets that provide detailed information about the product you are studying or designing. See previous Technical Data Sheet Page. A technical data sheet can be completed during the research section, development section or it can even be one of the final sheets of a Product Design project. 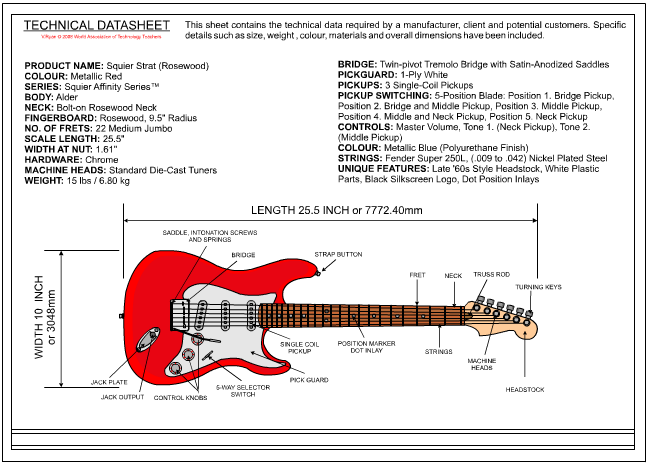 The sheet includes factual / statistical detail about the product including the dimensions, weight, functions, colour, materials and more aspects. QUESTION: Attempt the technical data sheet for a mobile phone shown below. 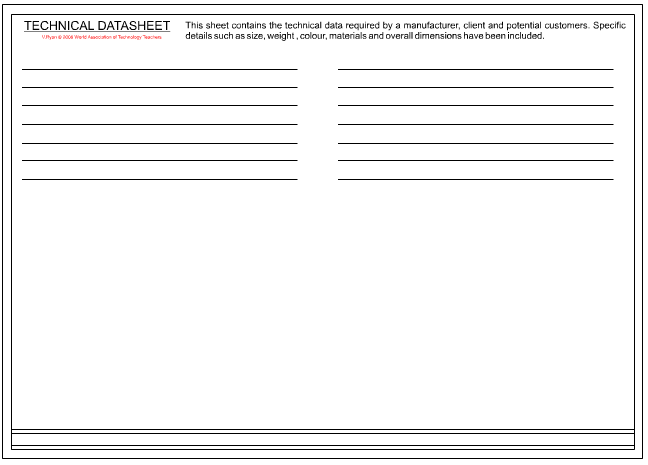 The sheet below could be used as a data sheet for your design project.